This entry was posted in Free Lab Radio and tagged ali augur, fari b, Fari Bradley, free lab radio, funk, graphic design, hiphopology, hipology, ping pong, plastic people, playlist, podcast, radio interview, Resonancefm on August 26, 2012 by sixpillarstopersia. 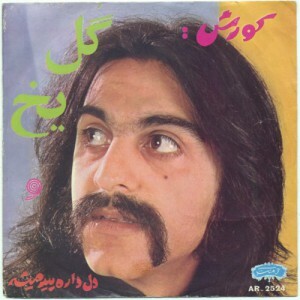 Kouroush Yaghmaie brought psyche music to Iran. He lived his music from his teens to adulthood until banned from singing, he was forced to produce children’s songs under a pseudonym for 19 years. His new album ‘Back from the Brink’ comes as a double CD and book, the extensive and detailed text by Kouroush Yaghmaie himself. In it Yaghmaie describes how he used his guitar to sound like a sitar, how his fellow musicians fell out of performing and heartbreakingly, lost the gift of music. Six Pillars has created a bespoke audio piece with a voice narrating over the songs the words of the man who for so long could not speak out. First broadcast in May 2012. This entry was posted in Six Pillars to Persia and tagged 70s, audio portrait, back from the brink, funk, Iran, Kouroush Yaghmaie, middle east, Music, now again records, Persia, psyche, singer, songwriter on June 12, 2012 by sixpillarstopersia. This entry was posted in Free Lab Radio and tagged brazilian, dj, free, funk, jazz, kissfm, mix, Music, patrick forge, podcast, soul on April 6, 2012 by sixpillarstopersia.